These palettes have silky smooth texture which can be used as a liner, on the lid, and in the crease of the eye for an expertly contoured and blending effect. 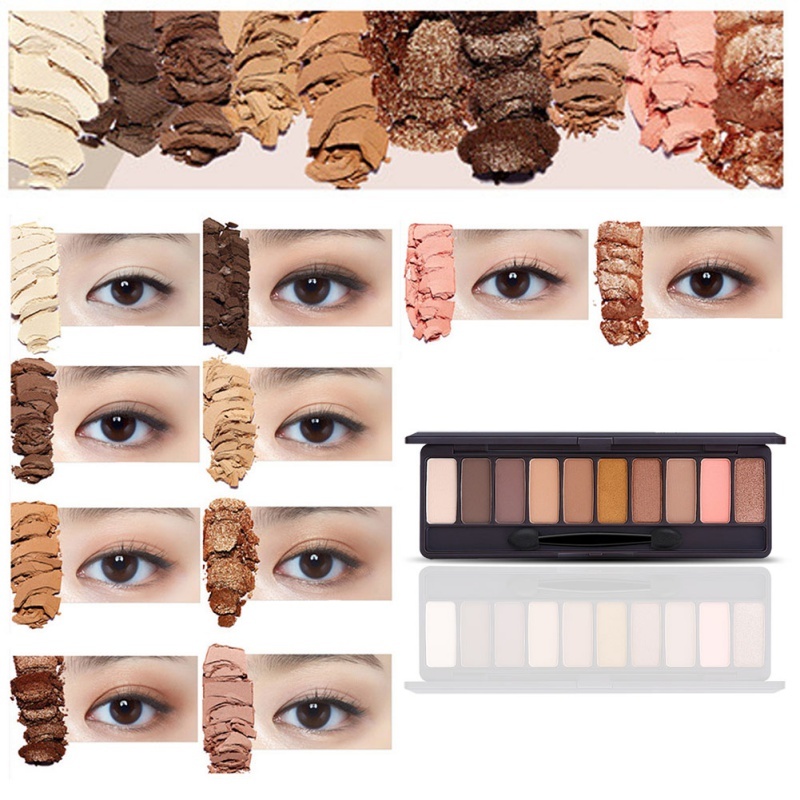 The color collections are ideal for shading, highlighting, and defining the eyes. Each palette contains glitter, shimmer, metallic and matte finish eyeshadow for you create any look for different occasions. 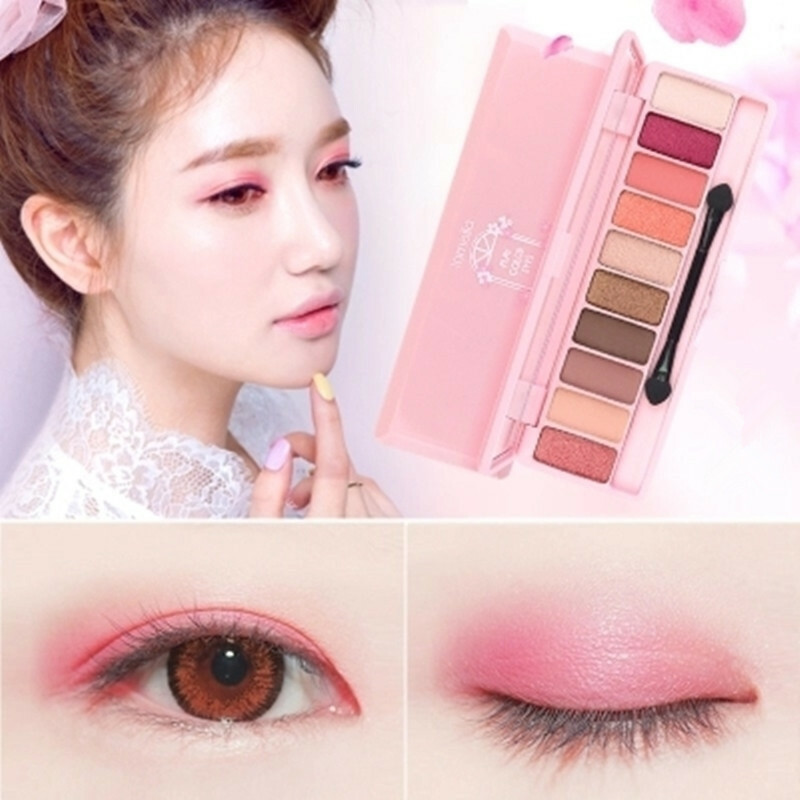 The eye shadow palette colors your eyes with soft pink color making you naturally bright and feminine like rose blossom in the garden. 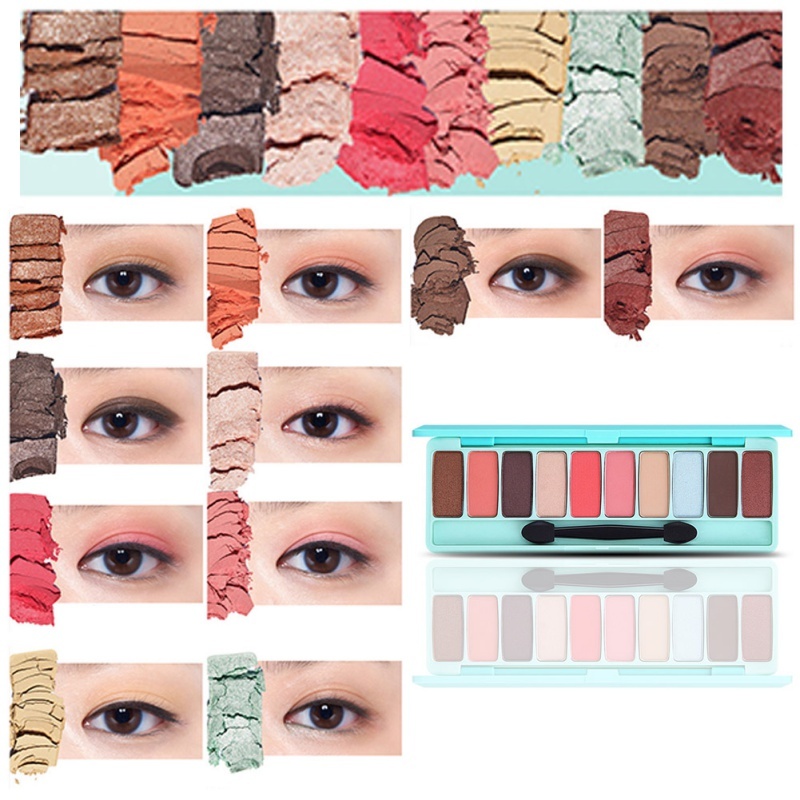 This is a 10 color eye shadow like coffee roasting comes in various texture for different expression of the eyes for an natural or intense smoky eye look.